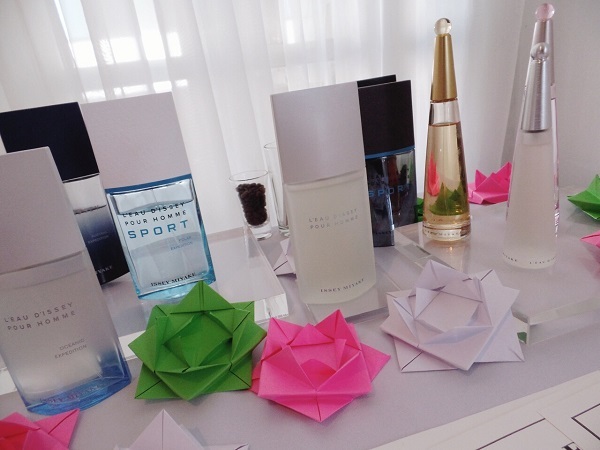 Over luxe lunch and origami, I had a mini reunion not too long ago with a fragrance staple at home, Issey Miyake. My earliest memory of the brand's from the mid-90s when I'd chance on my mom misting on her L'Eau d'Issey before going to work. I thought she smelled very nice and sophisticated. Like most girls, I couldn't wait to grow up so that I can also smell and look like my mom. Fast forward to 2015, I'm all grown up, a carbon copy of my mom, and mildly begging to go back to the 90s. While I'm wayyyy far from my mom's rather poised nature, I'm very glad that I can now wear right about any perfume I want. ;) L'Eau d'Issey has recently made it to my boudoir in the form of their latest and limited edition scent, City Blossom. Still guided by the new vision of femininity, Issey Miyake collaborated with Spanish master perfumer (nose, to fragrance snobs) Alberto Morillas and visual street artist Mademoiselle Maurice and to come up with this season's offering. In dewy surroundings, the freshness is accentuated with middle notes that resonate beneath delicately honey-like osmanthus flowers, an invitation to travel – to the other side of the city – offered by freesia and magnolia: reserved and measured, the flower chose to retain its mystery by only opening halfway. Then with the bottom notes made up of natural Virginia white cedar dominated by powerful notes of ambrox and white musk, this imaginary bouquet takes shape and draws its energy, “texturising” itself like the petals of a flower which finally touch the skin...the flower opens out completely, serenely, in a subtle mingling of charm and boldness. As you may have painfully observed, it's been very hot recently. Upon arrival from Singapore, I died a little when the (flight) captain announced that Manila's smoking hot at 35C. 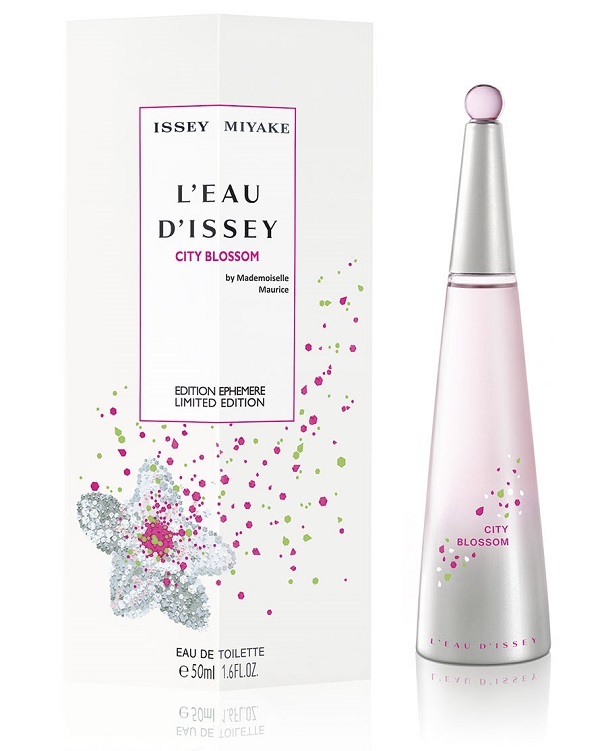 Spritzing Issey Miyake L’eau D’Issey City Blossom directly on my skin, I noticed that this scent can withstand the heat and stayed true from bottle to skin throughout the day (some 8-10hours indoors for me) esp. if I wear cotton shirts or dresses. To me it smells clean, crisp, and mildly fruity-floral; never asks the room to stop everything they're doing to look at her. It's a scent I would've related to in my early 20s and can see myself until my late 30s wearing it. I had my main squeeze describe the scent assuming he hasn't seen whoever's wearing it. His verdict? She's likely "very beautiful and she smells really nice" (further quips "I can smell her skin all day"). Like! 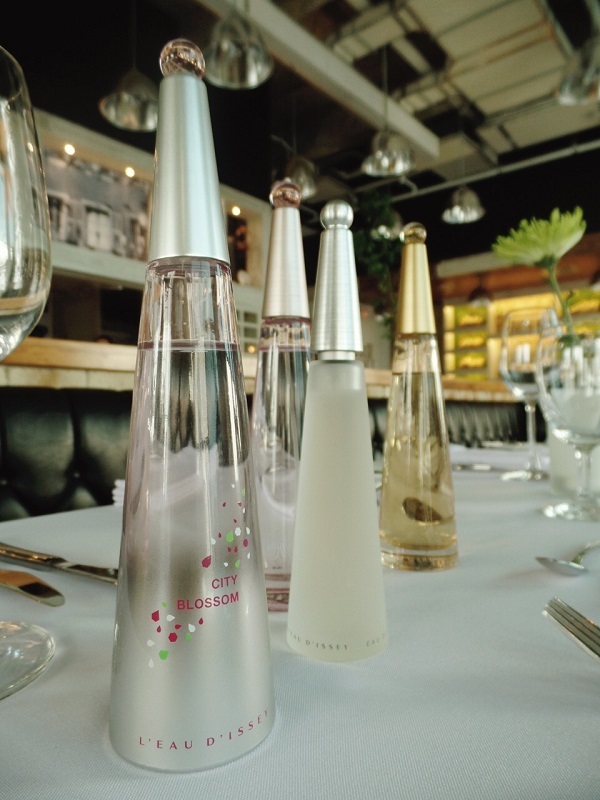 Issey Miyake L’eau D’Issey City Blossom is available in two sizes: 75ml (Php 4400) & 90ml (Php 5900) and is available for a limited time in leading department stores nationwide.